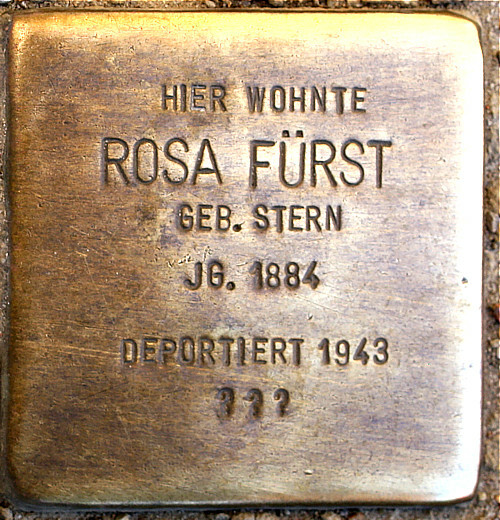 Rosa Fürst, geb. Stern (1884 – ?) 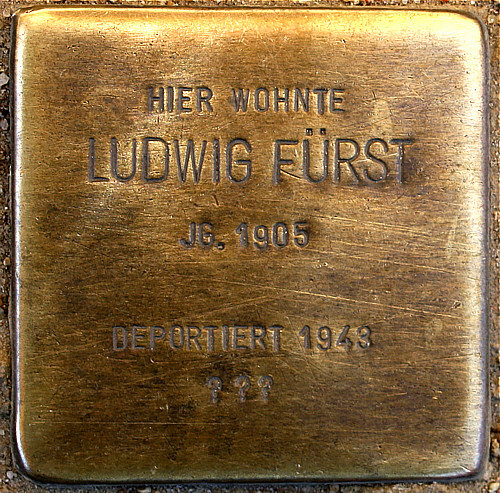 was married to Georg Fürst and had a son, Ludwig (1905 – 1945). Ludwig was a lawyer and after his father's death in 1934 took over the firm founded by his grandfather. After the forced sale of the family property he moved to Berlin, from which city he was deported in 1943 with the "33rd Eastern Transport." His mother Rosa was also deported in 1943. Nothing is known about their further fate.